But in a good way. 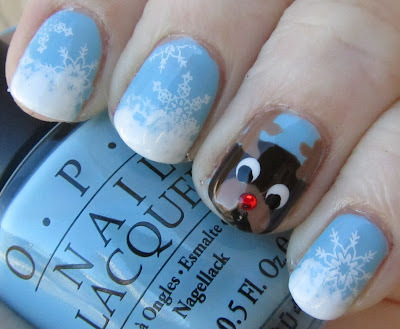 :) I absolutely loved this manicure. 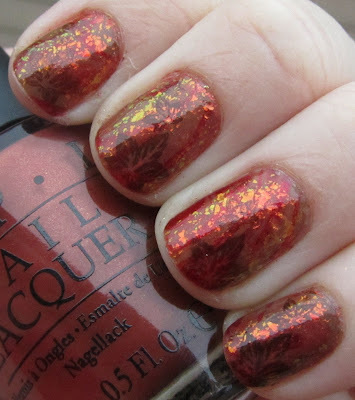 I wore it for four days and only took it off because it was time to do Thanksgiving nails... I would have worn it for longer otherwise. 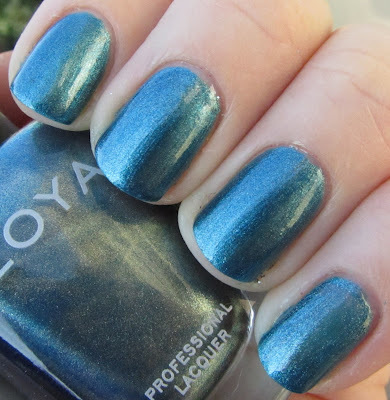 This manicure starts off with two coats of the lovely Zoya Kristen, from the Feel collection, as the base. Added to this were darker blue swirls in Nubar Boyfriend Jeans and plate BM201. Finally, I added delicate little white flowers using Konad Special White and plate m37. Looking at this manicure just makes me want to wear it again... now. 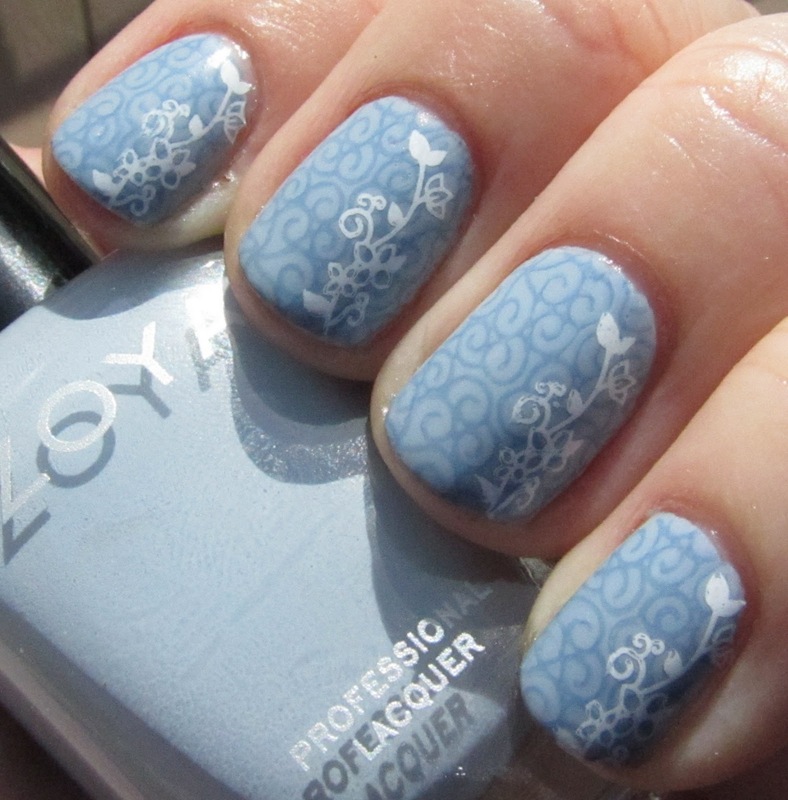 I am totally in love with this pale blue and love the way the darker blue compliments it. 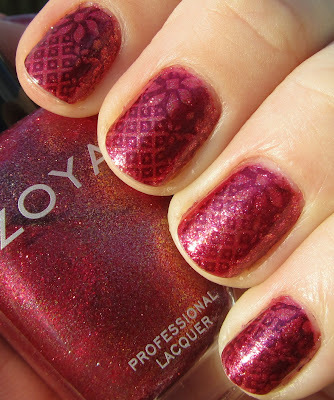 I should have Zoya Feel collection swatches for you soon! 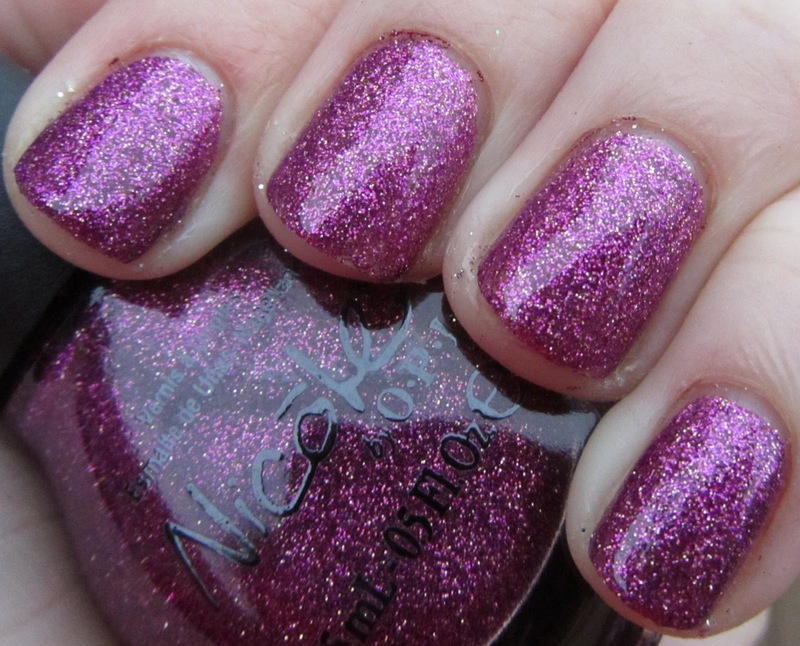 When I saw the promo pics for the latest OPI DS shades, I knew that Temptation was going to quickly become a favorite of my collection. I was not wrong. 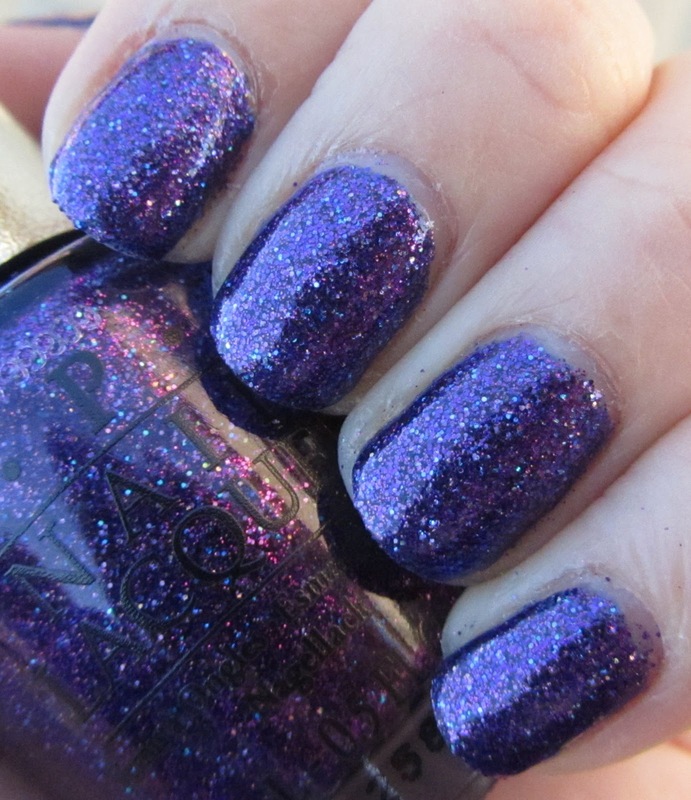 As is often the case with purples, these pictures don't quite do this polish justice. It is a bit more reddish-toned and way more sparkly, but at least this will give you some idea. 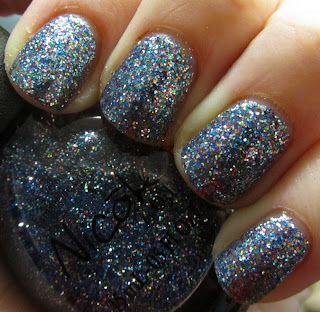 This polish is actually a very sheer navy base, completely full of purple, pink, and blue glitter (predominantly purple). The final effect is simply stunning. 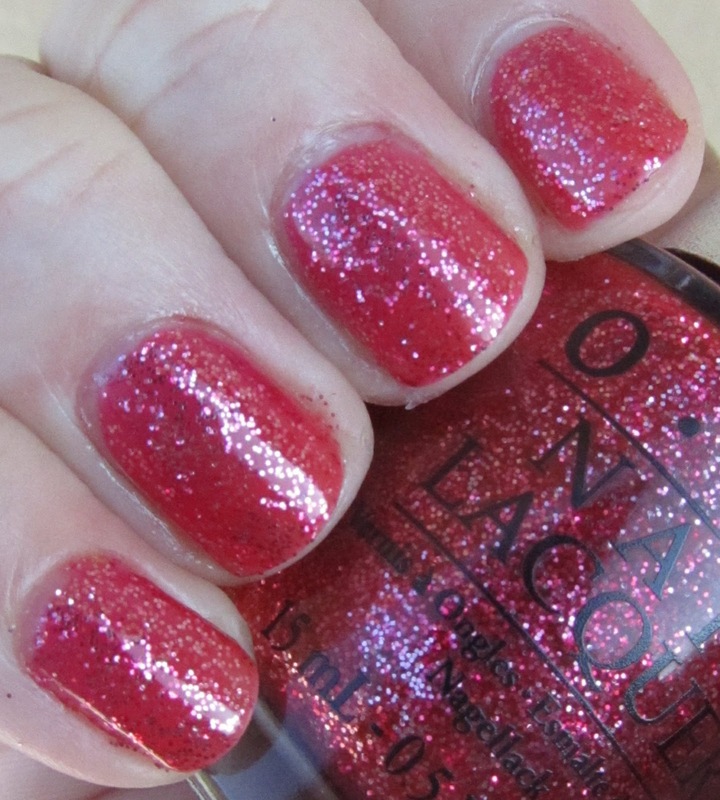 This polish sparkles no matter what lighting you have it in, and it is so easy to catch yourself staring at it. And, of course, it is perfect for K-State games (which I have already worn it to once, haha). Overall an amazing addition to the DS line. I highly recommend it! I will review the other new addition, Bold, a bit later. A few weeks ago I went with my Mom to a Kansas City Chiefs game. I haven't been to one in quite awhile, and it was a lot of fun, even though it was kind of a terrible game. I am not very into NFL football (I really only care about my KSU Wildcats, sports-wise), but of course I had to mark the occasion with some special Chiefs nails! Hope you all are having a fabulous Thanksgiving week so far, and have a lot of fun (and food) planned for tomorrow! I wanted to do a Thanksgiving water marble this year, and although it turned out a bit differently than expected, I am still really pleased with the results. 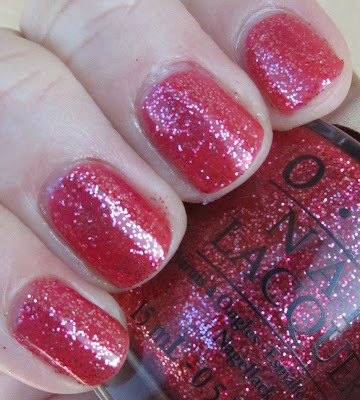 I started off with two coats of OPI Take the Stage from last year's Burlesque collection, which is also the polish I used for last year's Thanksgiving Day nails. After trying a lot of combinations of polish that refused to play nicely with marbling, I settled on OPI Cheyenne Pepper, OPI Uh-Oh Roll Down the Window, and China Glaze Mommy Kissing Santa for water marbling. 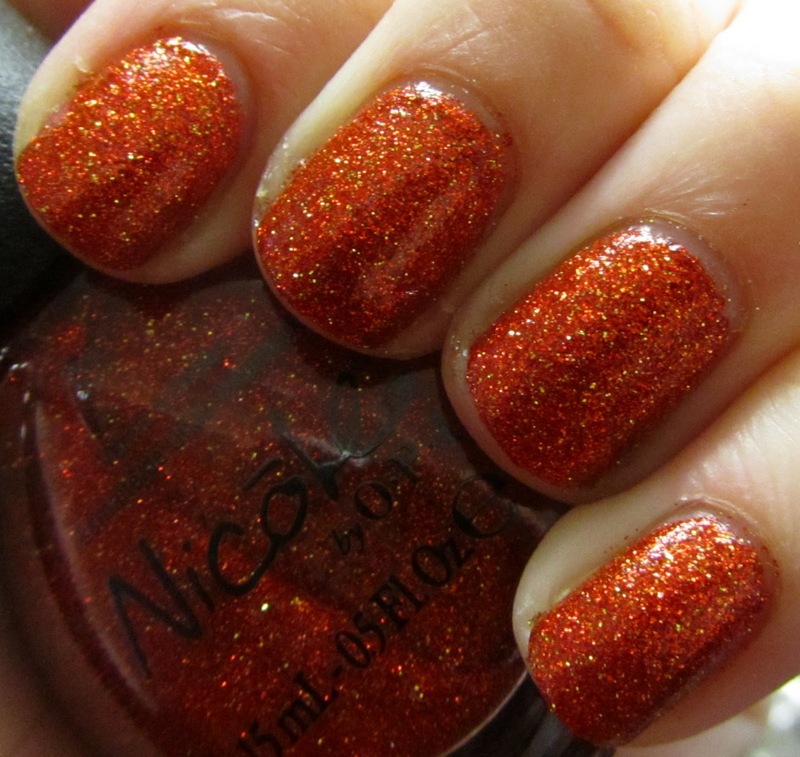 This gave a fairly muted effect on some nails, stronger on others, but overall there is a nice fall feeling. 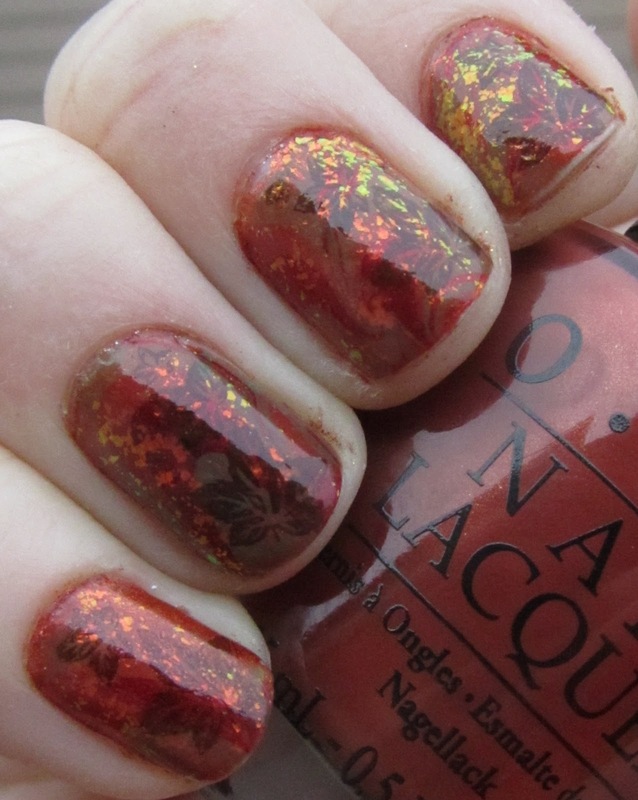 Then I topped with a coat of Sally Hansen Hidden Treasure, and added Konad using Essie Little Brown Dress and leaves from BM04. As I said, this is not exactly what I was envisioning originally but I do enjoy the final effect. I love what Hidden Treasure brings to this manicure. It kind of looks like all of the colors you might see in the leaves this time of the year, and I love that. 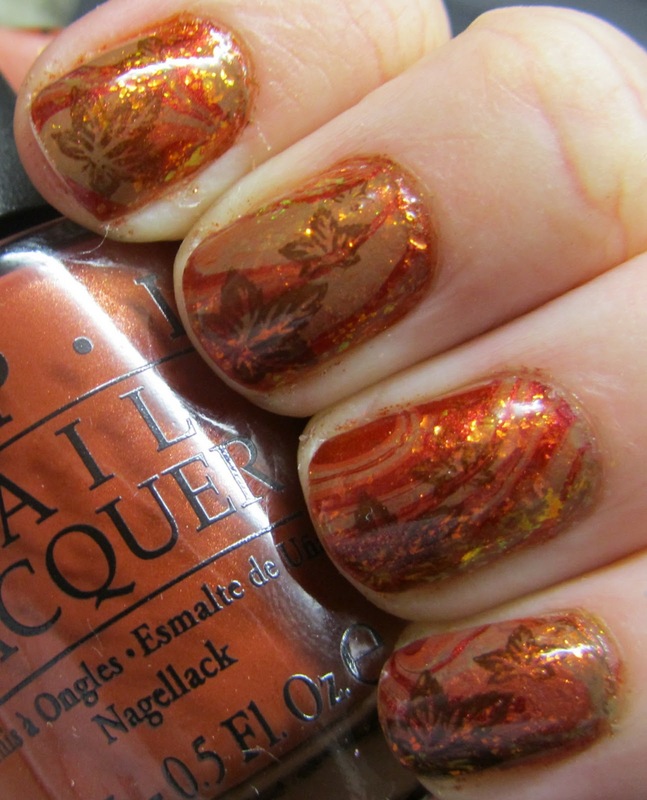 A great fall - and Thanksgiving - manicure. 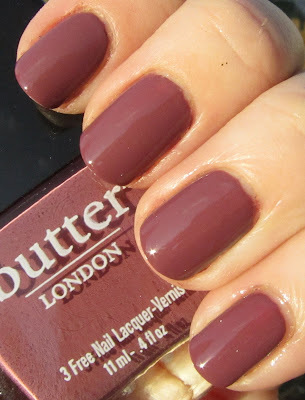 This is my very first (and only) Butter London polish, a brand I have been wanting to try for a long time. This color is very unique - a kind of dusty muddy rose pink? I love it. This is I believe two coats of Butter London Toff. It applied very nicely, silky smooth and creamy. I was really pleased with this polish! 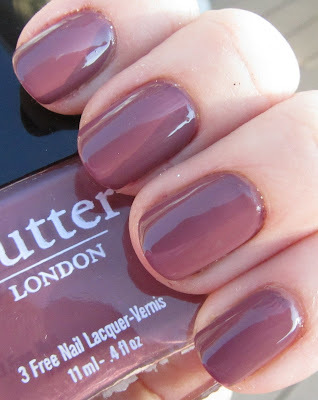 I will have to consider getting some more Butter London polish in the future. Like I said, the color is very unique - I feel like it might be one that you either love or hate, and personally I loved it! It felt classy and totally perfect for fall. This amazing glitter is full of small pink and holo glitter with large holographic bar glitter. 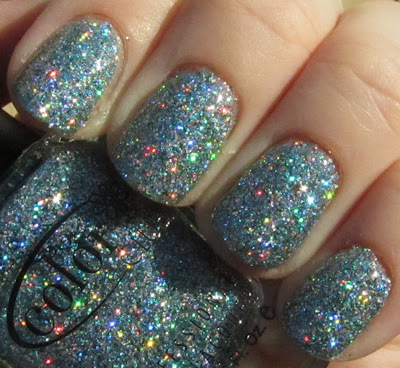 The holographic effect of the bar glitter is amazing. This is the star of the collection, in my opinion. Shown over Izzy. 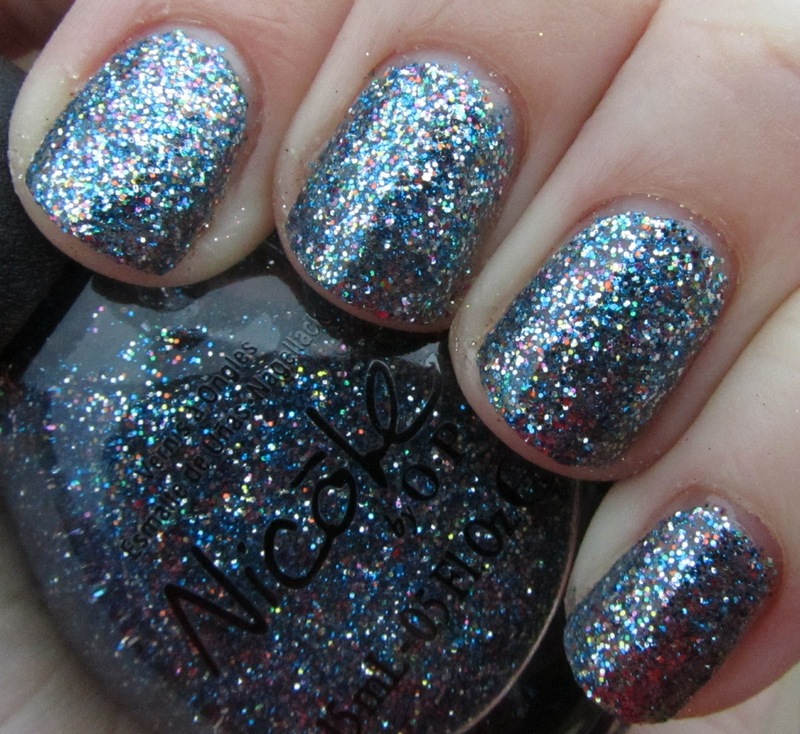 Medium blue foil. Think last year's Crystal, but without the gold flecks. 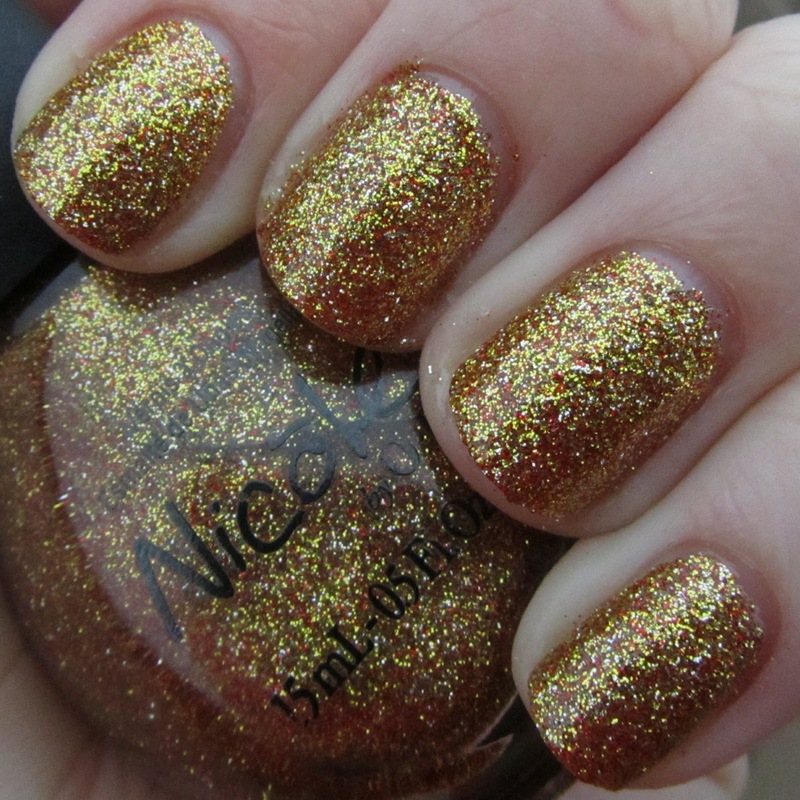 While I think I prefer Crystal overall due to the gold, this is still a gorgeous color, and perfect for winter. It just makes me think of snow and icicles. 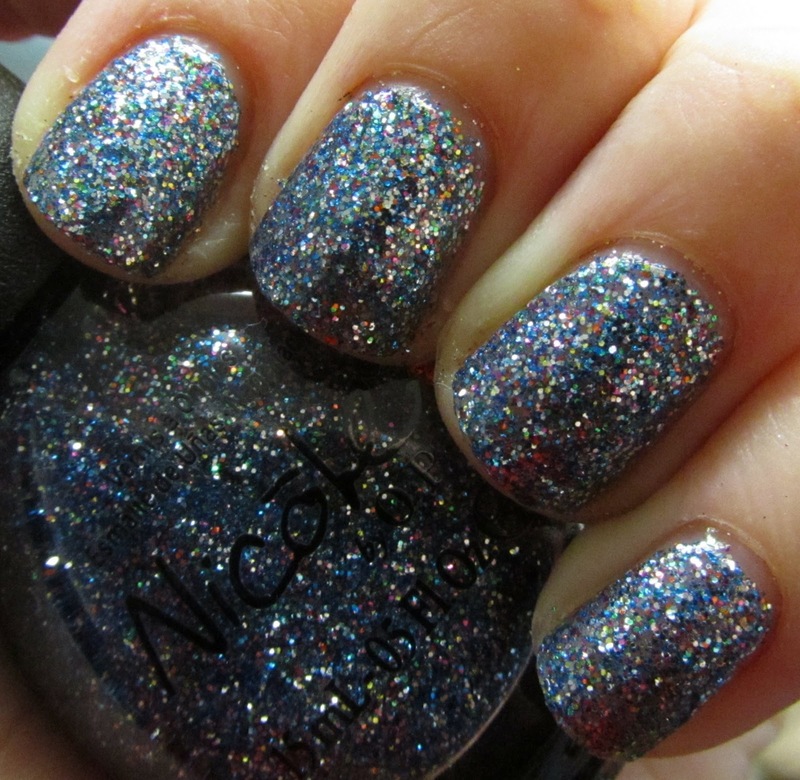 Bright blue glitter, with large bar glitter that flashes blue and green. 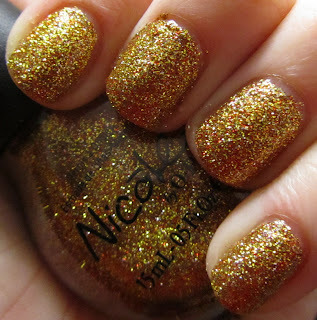 While this glitter lacks the amazing holo effect of Kissy, it is still very pretty. Shown over Noel. 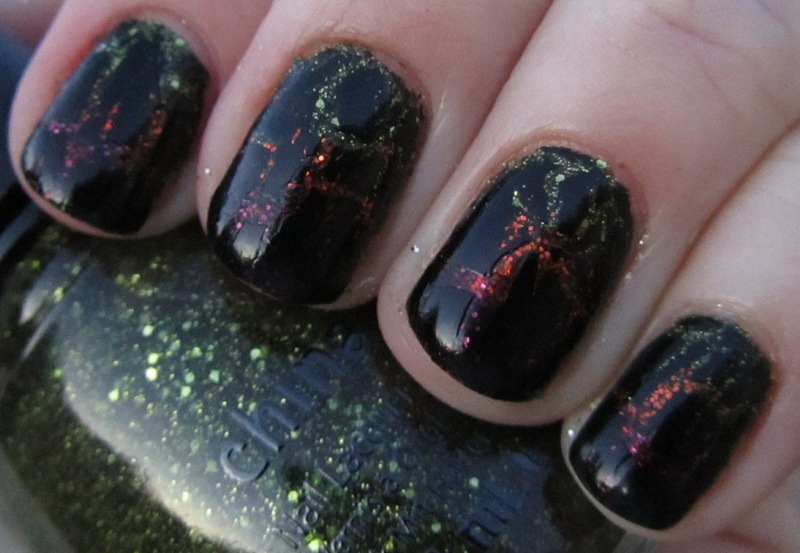 Emerald-green foil. 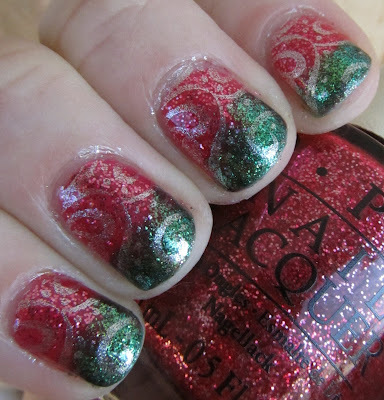 This is a very pretty green, and very festive - a perfect Christmas green! 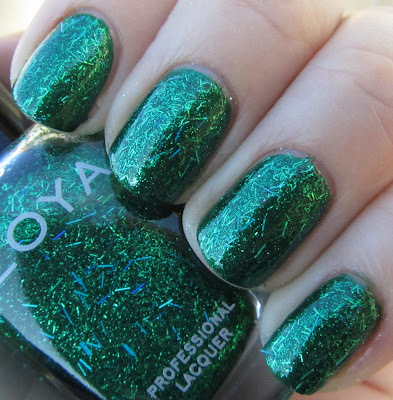 Emerald green glitter with blue-green bar glitter. 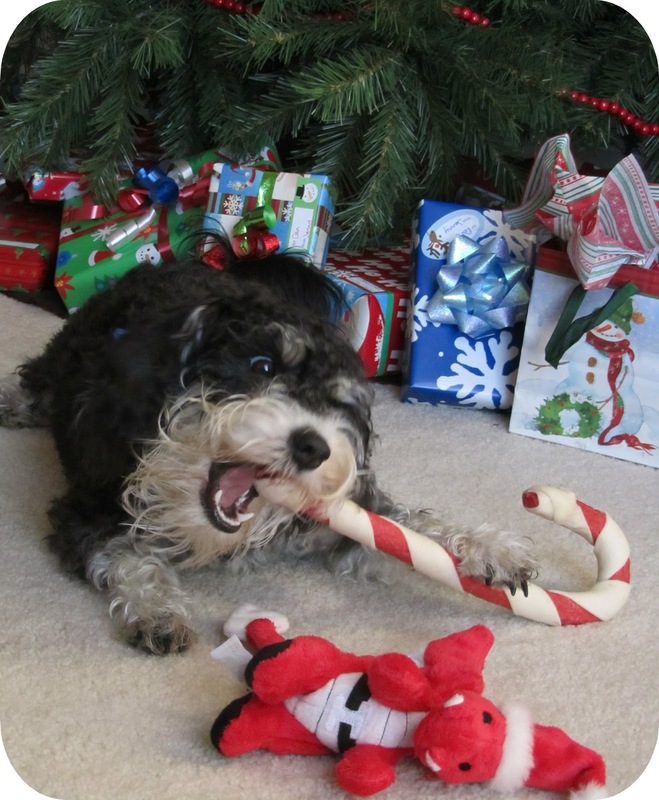 Again, amazingly festive. This looks to me like a wreath. 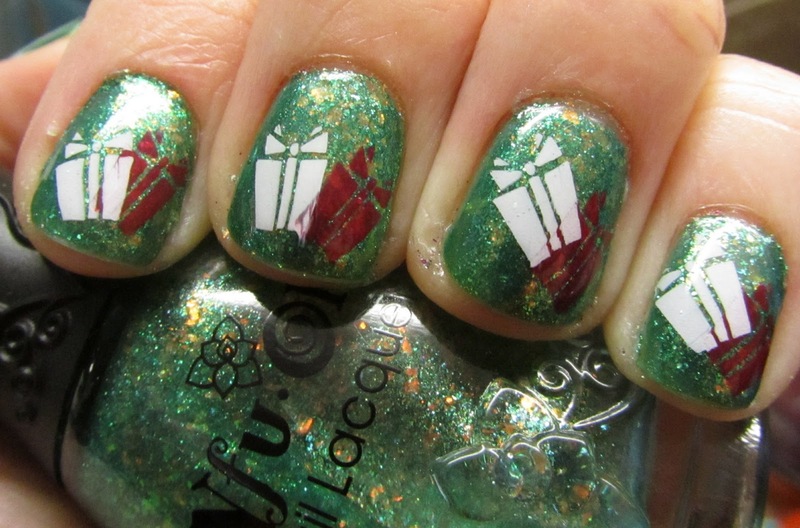 In fact, you may very well see this in some sort of wreath-like nail art later... haha. Over Holly. 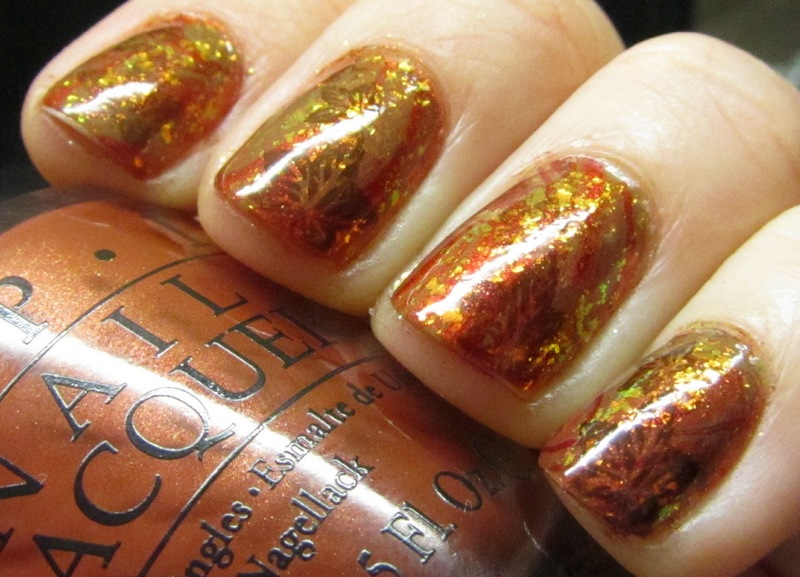 The foils in these all apply amazing smooth and cover perfectly in two coats. 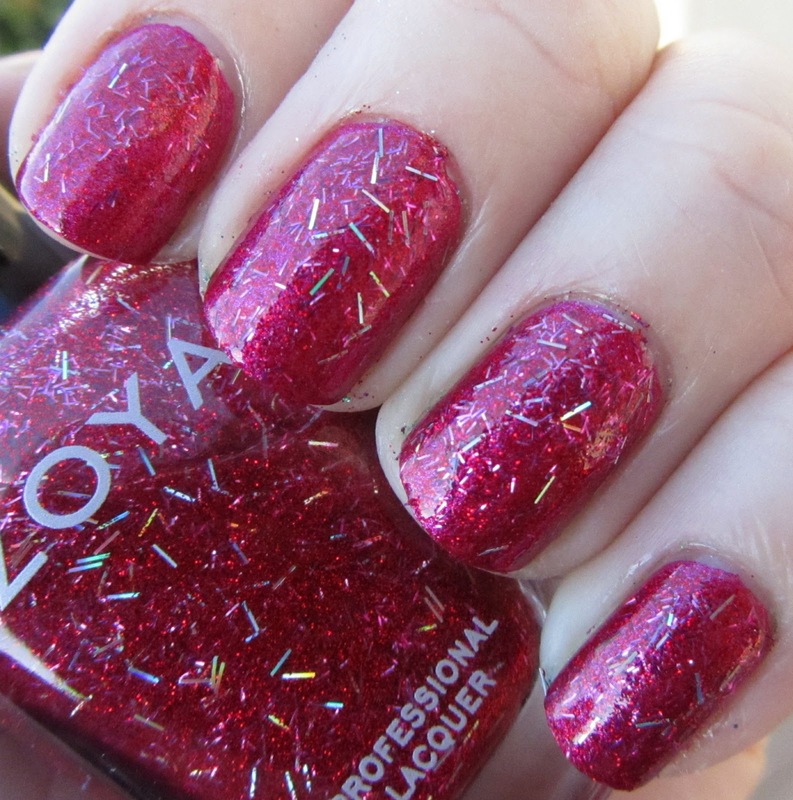 The glitters are a lot of fun - bar glitter can be a pain but I think it is done very nicely here, and it is unique. 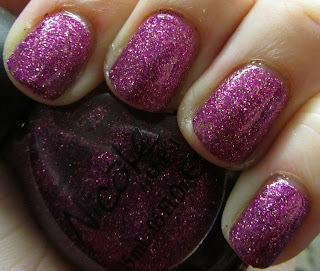 Kissy is the standout of the collection if I had to pick, due to the strong holo effect of the glitter, but all six polishes are really wonderful. I did not show the glitters alone, but you can wear them on their own and build up to opacity in about 3 coats. However, like most chunky glitters they can have a tendency to chip like crazy if worn alone, and the bar glitter can make for some nasty overhang if you aren't careful. 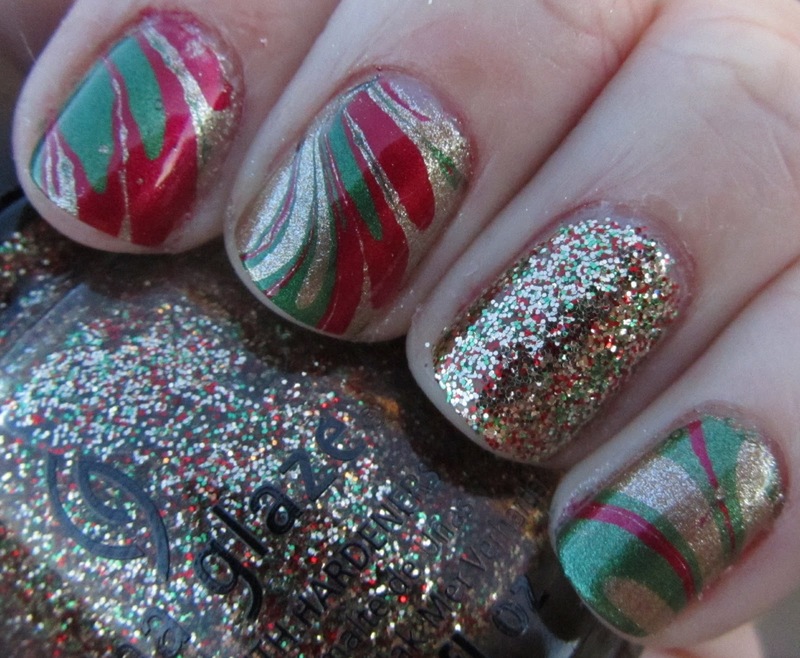 I would recommend they be layered over a corresponding color (or a totally different color, for a different look). Lots of layering possibilities here! Great formulas on all and beautiful colors get this collection a definitely thumbs-up from me! 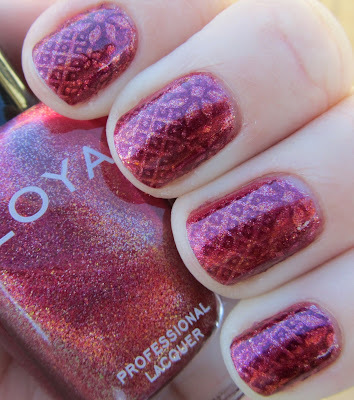 Last November, I shared with you a manicure that I did using Zoya Gloria and topped with stamping using Zoya Valerie - you can see this post here. I used this same combination this fall, although with a different stamp, to give the departmental seminar a few weeks ago. 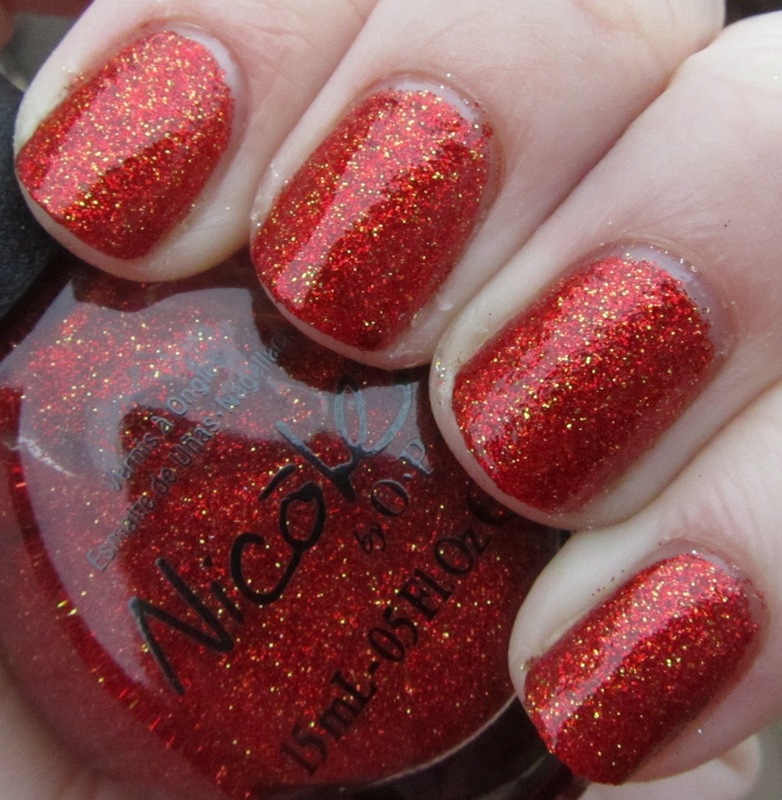 I really love the combination of these two polishes, I think they work really well together. This time, the stamp I used was from plate m74. It looked perfect with my outfit! Here are some simple and elegant neutral nails that I wore to my Papa's funeral last month. I still have a hard time believing he is gone, and I dream about him often. It is difficult, never having lost anyone close before, to experience for the first time. When I get really sad about it I just try to reflect on all of my happy memories and remember how lucky I am that I got to have all four of my grandparents with me for 25 years! 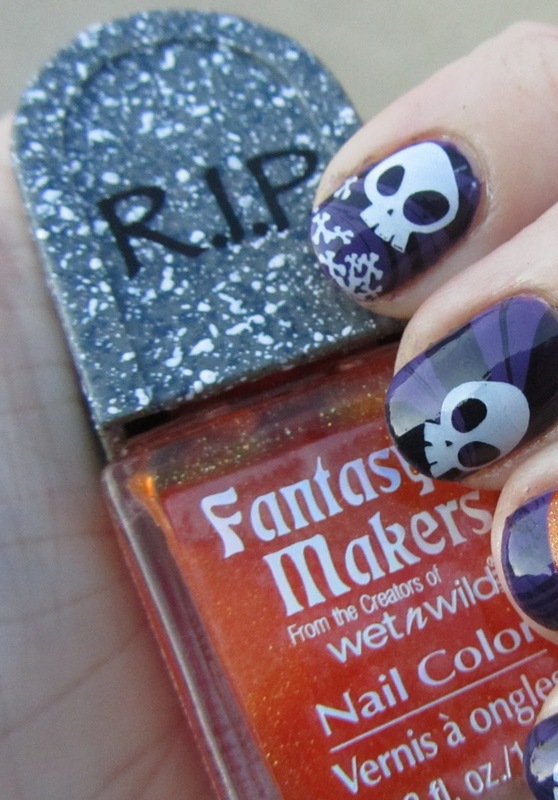 Originally I was going to do a totally different mani for Halloween... but then I received CG It's Alive a bit early and decided I was going to have to use that instead! For this manicure, I started out with two coats of the amazing China Glaze It's Alive, a yellow-green glitter bomb from this year's Haunting Halloween collection. 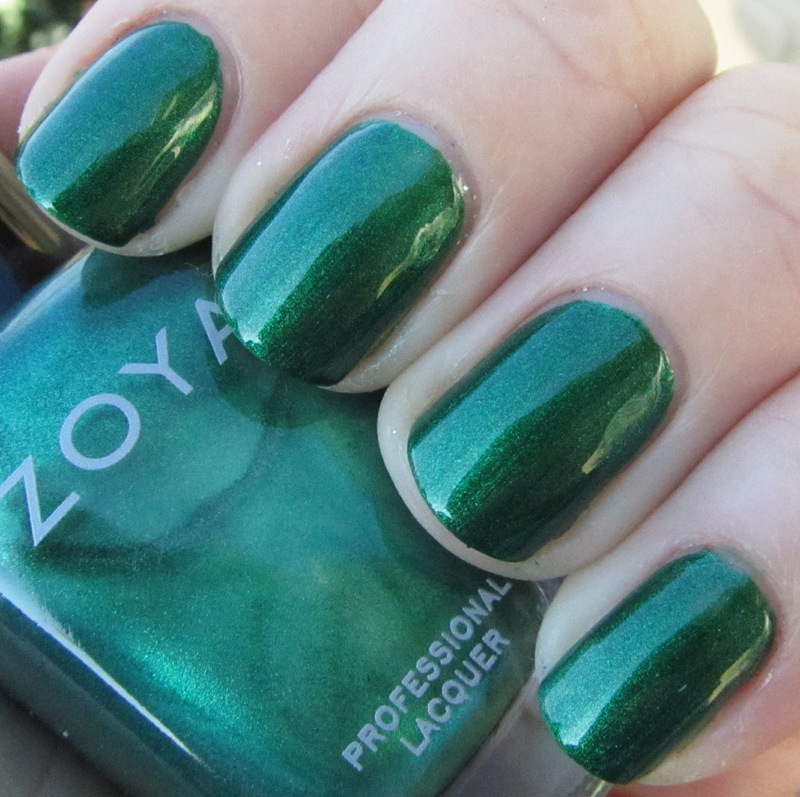 It is a perfect Halloween green and I am really glad I finally broke down and ordered it. 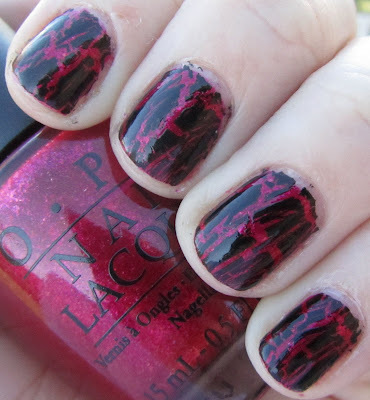 On top of that, I sponged on a layer of China Glaze Ick-a-Body on the bottom half of the nail, followed by China Glaze Mummy May I? on the tip. This was gorgeous alone and I wish I would have taken a picture! 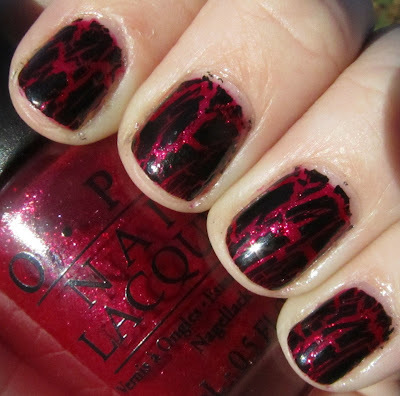 For the final touch, I added OPI Black Shatter to all of the nails. 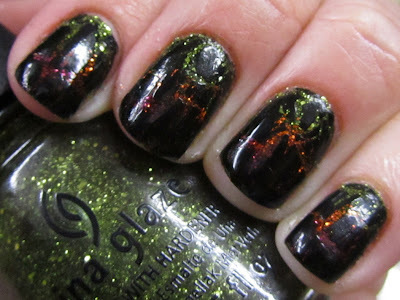 While this is not the most overtly Halloween mani I have done so far (I think that honor belongs to the orange and black pumpkin mani), I still really like it a lot! 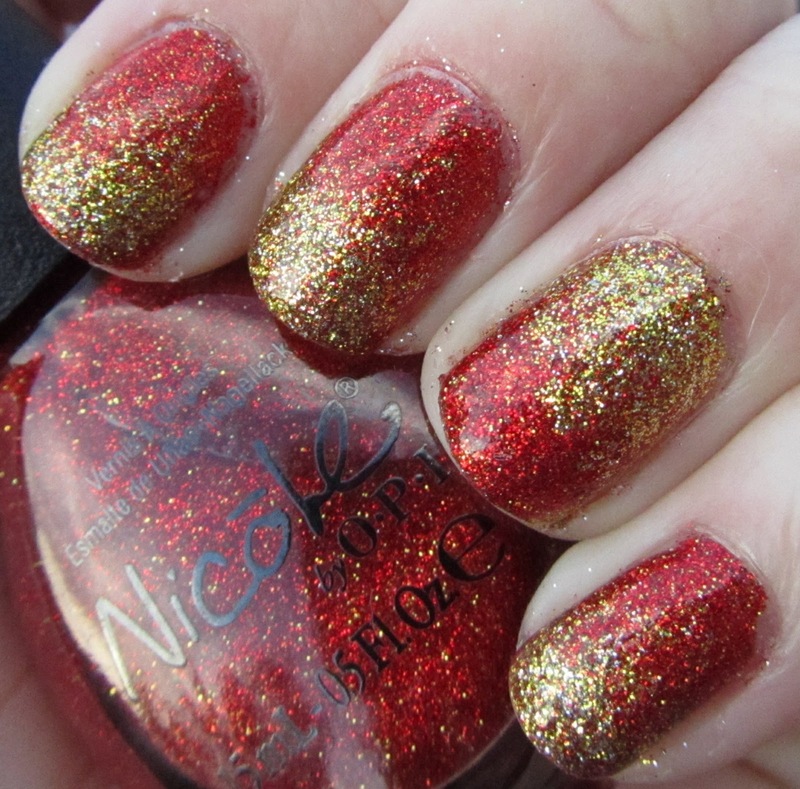 The glitters look amazing together and the shatter is very fun. Today is two days before Halloween. It also happens to be Homecoming at K-State, and I am lucky enough to get to go to the game! That's right, I am talking about my #10 ranked, undefeated K-State Wildcats! So what to do, Halloween nails, or KSU nails....? How about I just combine a bit of both for the ultimate mani? Purple and white in honor of my Cats, and orange and black in honor of Halloween. 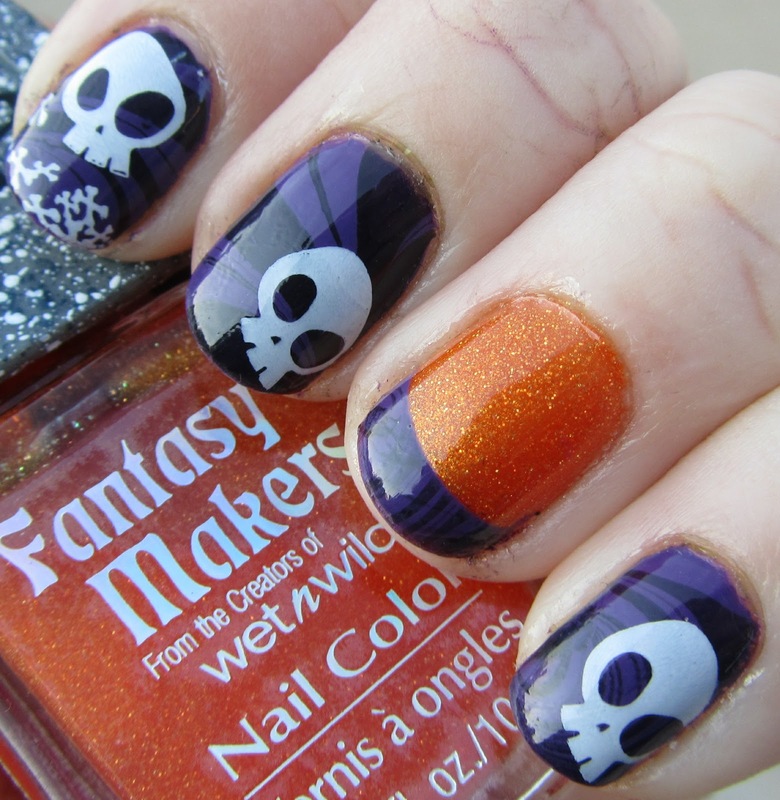 I started this off with two coats of OPI Funky Donkey on all nails but ring finger, and three coats of Wet n Wild Fantasy Makers Creepy Pumpkin on the ring finger. Then I did water marbling with SH Xtreme Black Out and OPI Funky Donkey on all nails, including on the tip of the ring finger (using a tip guide). 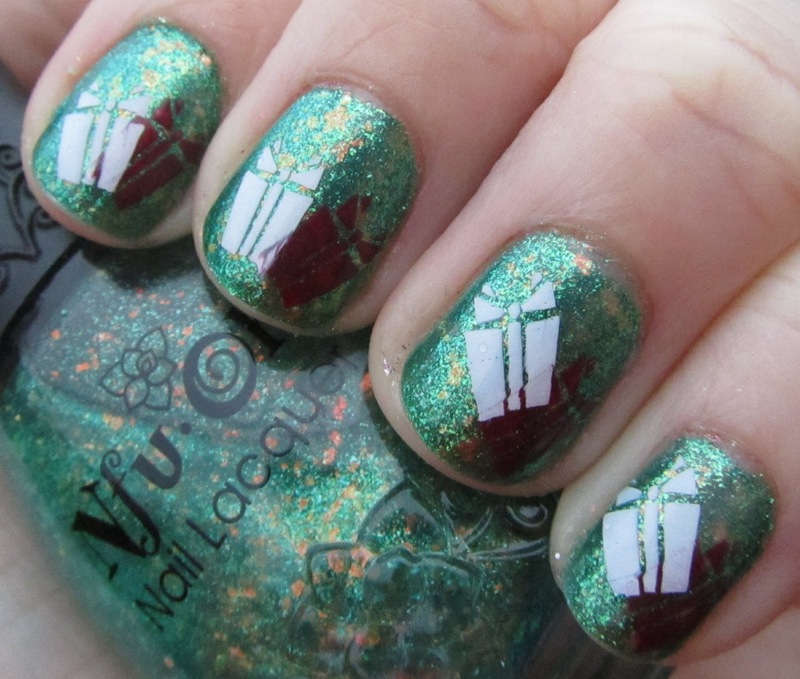 I then added cute little skulls from BM-225 (index finger) and BM-211 using Konad Special White. I love how this came out! 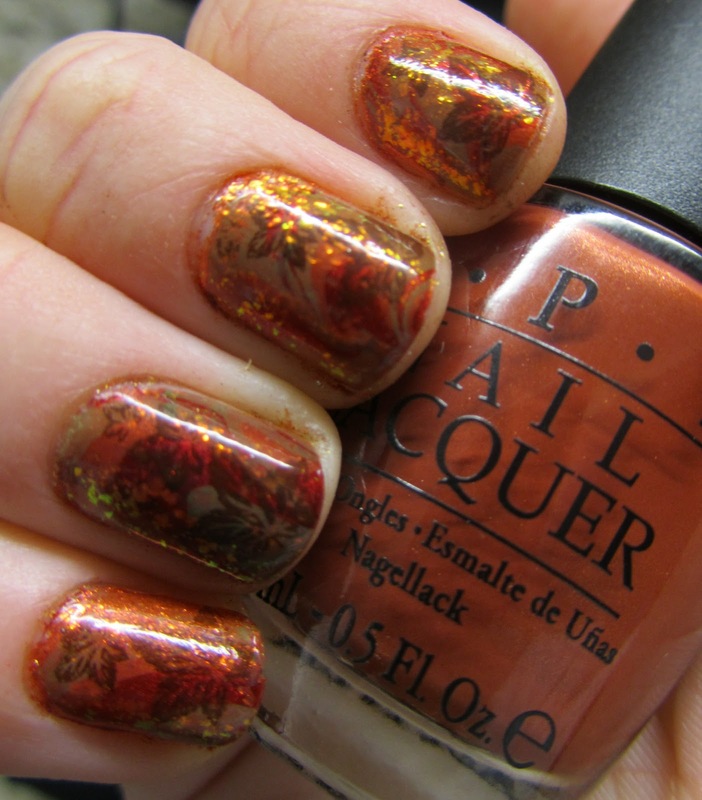 It is a bit different than I originally planned - in my original thoughts for this mani, I was not going to have an entirely orange accent nail. But then I found Creepy Pumpkin and I had to do it. It is a gorgeous, squishy jelly orange full of microglitter. It was a bit of a pain to apply but I love the final look. And the bottle is completely adorable!